Pools that are 25 meters in width are junior Olympic swimming pools and are commonly used in swimming competitions. These pools are also used in world championships hosted by the FINA, the governing body for international swimming competitions. These pools are often referred to in swimming competitions as "short course" pools. A 25-meter pool is approximately 82 feet long and has room enough for eight racing lanes. They can be either 6 or 9 feet in depth, although variants on these depths are common. Wall thickness for the sides of the pool are recommended to be at least three inches. 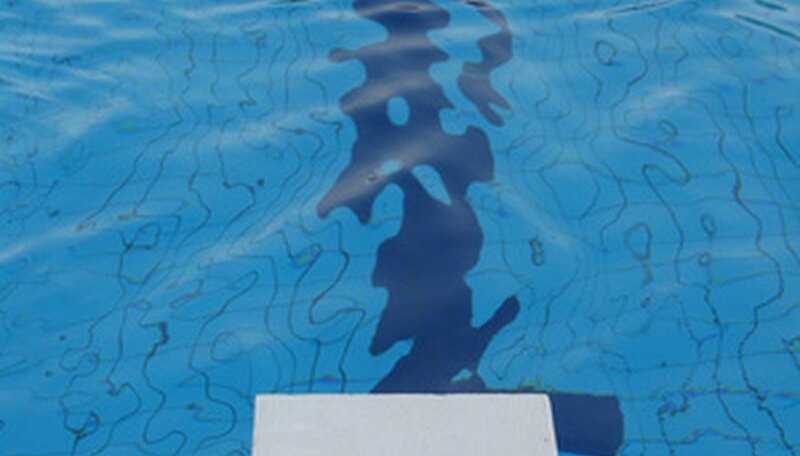 Stripes that mark the bottom of the pool's racing lanes are 10-12inches in width and 36 inches wide for the start of the lane. It takes roughly 660,000 US gallons to fill an Olympic size pool. Water can be treated with either chlorine or a salt water treatment system to keep them free of odor and bacteria. Newer water treatments include UV treatment which uses ultraviolet light to kill bacteria, fungus and algae for a reduced cost. Ozone treatment is also rising in popularity as it will effectively kill all contaminants and greatly reduce the need for chlorine. The authority that regulates pools for competitions is known as the Federation Internationale de Natation. This governing body mandates that a 25-meter pool used in competition is specifically 25 meters in width from the automatic officiating equipment installed at either end. The organization specifies that each pool must be at least 6.5 feet deep and must have at least eight lanes. Temperature must be between 77 to 80 degrees F.
When considering installing a 25 meter pool, remember that the installation and space needed for the pool itself is only one half of the equation. Large pools require at least 4 feet of deck space and generally need three times the space of the actual pool itself for support areas such as additional bathrooms, office areas, pump houses, equipment and storage areas. If being placed into an educational facility, a 25 meter pool will also raise water distribution questions.